Do you know what kind of roofing warranty you have? Is it for material defects only? Does it cover labor or misapplication? Does it cover a full dollar amount or is it prorated? These are among the most important questions to ask when getting a new roof because they can mean a significant difference in quality, longevity, and the amount you would have to pay for any fix in the future. Most warranties cover material defects only. They lead with big numbers like “50 year limited lifetime warranty,” yet these warranties sound better than they are because they don’t cover enough. When a leak occurs, it is usually not because of material defect. And when repairs are performed, the material replacement is not a majority of the cost. What kind of warranties should you look for? Manufacturer warranties that require the highest level of contractor certification (like Master Elite® for GAF), and come with labor and misapplication coverage at no dollar limit. This warranty covers just about everything that the manufacturer and contractor have control over. In the event of a leak, if the material malfunctioned, you’re covered. If the contractor wrongly installed the material, you’re covered. Whatever the cost of material and labor is to conduct leak repairs, you’re covered. GAF is able to offer such a fantastic warranty because they only allow their top contractors to offer it — Master Elite® contractors — of which only 3% of GAF contractors qualify. Chase Construction North West, Inc. has been a proud Master Elite® contractor since 2011! We propose the Golden Pledge® warranty to every customer for whom we install a GAF Lifetime roofing system because it’s worth it. With the Golden Pledge®, we know and homeowners know that all bases are covered for a minimum of 20 years. 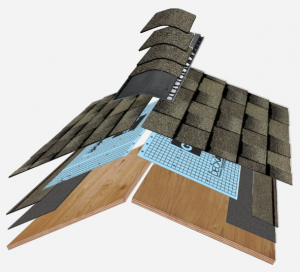 The materials used for different roofing systems varies greatly. 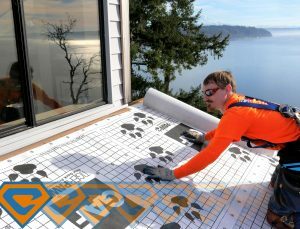 For example, some GAF systems can be installed by GAF certified contractors that use felt paper as an underlayment instead of high quality synthetic hybrid underlayments such as Tiger Paw™. For low quality warranties, felt paper is fine; but for the Golden Pledge®, a robust underlayment is required. We use GAF products for each of these, and round them out with flashings at all edges, valleys, and penetration. The final result is a complete roofing system. With lower quality warranties, many of the materials simply aren’t covered. For the Golden Pledge®, however, all the materials are covered because the entire system uses GAF products. A GAF system with the Golden Pledge® warranty is a true roofing system. Many of our customers tell us how happy they are to have this warranty because they know the peace of mind it provides. Most roofs aren’t designed to last 20-30 years, yet the Golden Pledge® warrants the full cost of leak repair caused by most manufacturer or contractor errors for that time period. A GAF roof with the Golden Pledge® warranty is a step above! 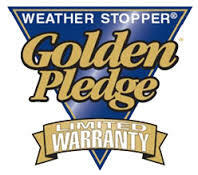 Want the Golden Pledge® warranty for your new roof? CHASE CONSTRUCTION NORTH WEST, INC. can do that for you! 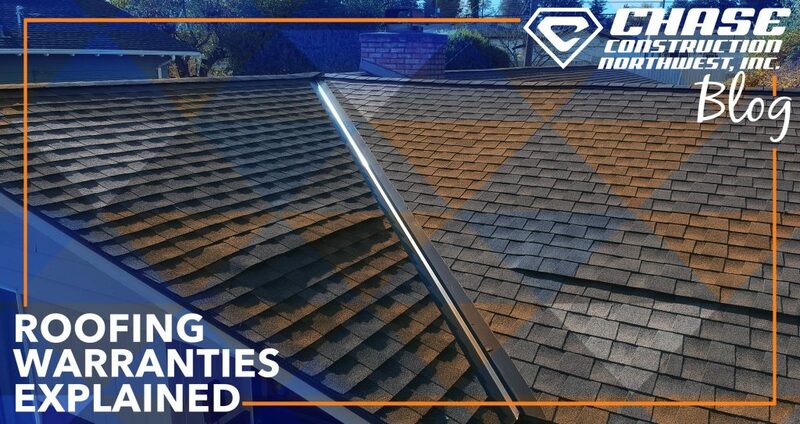 We are one of GAF’s longest running Master Elite® contractors and we know just how important roofing warranties are! Call us now at (253) 445-8950 or fill out our quick estimate form! Our estimates are completely free! Check out this customer testimonial!